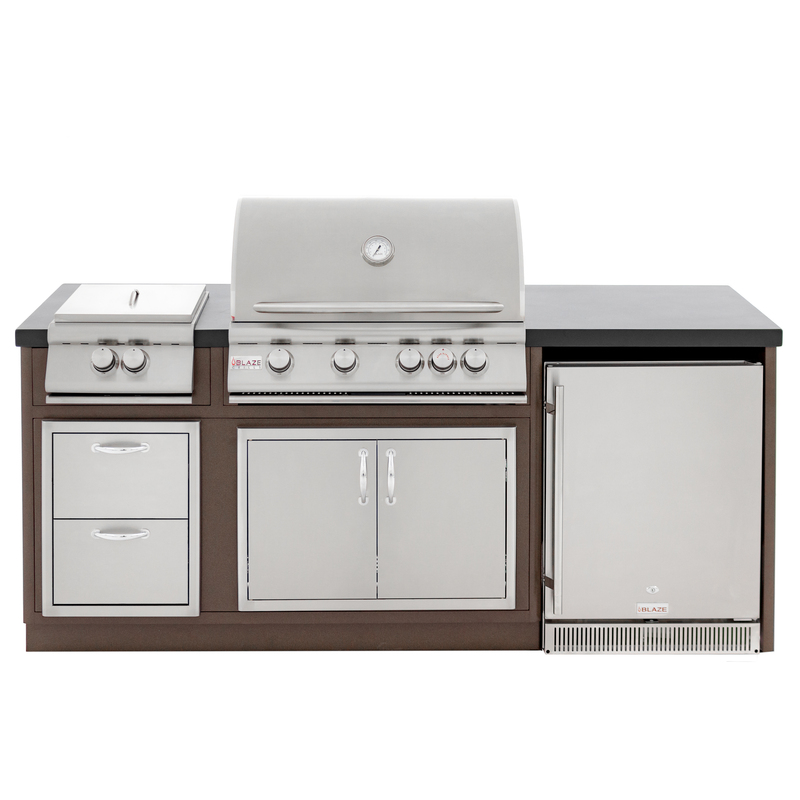 Enjoying outdoor kitchen grilling and entertaining has never been easier than with the Blaze Island. Featuring lightweight, all-aluminum construction with a welded frame for durability, the Blaze Island is light enough for two people to easily install and set up! The Blaze Island houses the Blaze Power Burner LTE (BLZ-PBPLTE-LP/NG), Blaze 4-Burner Traditional/LTE gas grill (BLZ-4-LP/NG or BLZ-4LTE2-LP/NG), Blaze 5.2 Outdoor Refrigerator (BLZ-SSRF-50DH), Blaze Double Drawer (BLZ-DRW2-R), and Blaze Double Access Doors (BLZ-AD32-R).